It is a requirement of your Agreement, that the goods are protected against Theft and Accidental Damage. We can arrange Theft & Accidental Damage Cover for £0.94 per week. It is a requirement that products purchased on a credit agreement are insured. We can offer Theft and Accidental Damage Cover for £0.94 per week. 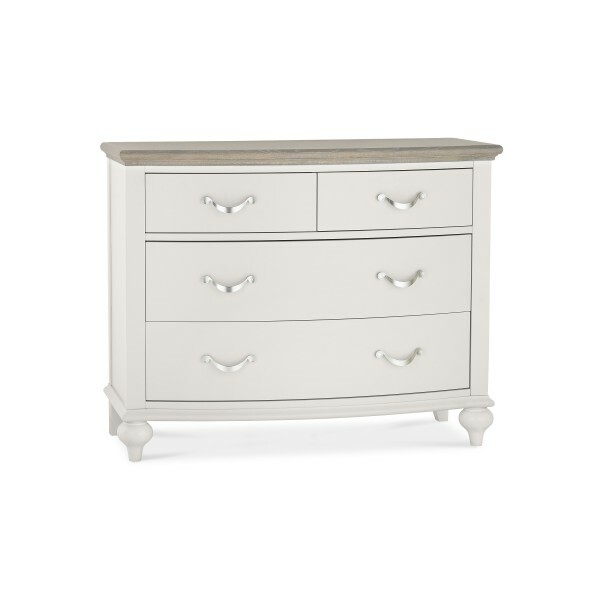 This chest of draws is a statement piece which will stand out in your perfect Giselle bedroom. With two smaller draws at the top and two larger draw beneath and with metal hanging handles you'll be sure to love this piece.